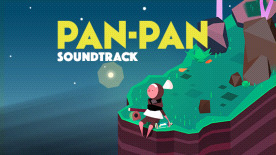 Like the embrace of a loved one, the Pan-Pan soundtrack envelops you in a 48 minute mix of other worldly sounds, synths and melodies. Lovingly crafted by renowned sound composer, Simon Viklund from Payday fame, the soundtrack captures the ethereal feel of the gaming experience and blends it with a healthy sprinkling of old school puzzle based platforming nostalgia. It's your soundtrack to life in space! Please note: Requires the base game Pan-Pan to activate this DLC.